Ruthy here, and since we were closed on Wednesday, July 4th, but open on Thursday, July 5th, only Thursday is a carryover day from Wednesday, then we'd be officially closed on Wednesday and Thursday and that's wrong with a capital "W"! And how was that for a run-on sentence, darlings? So in keeping with the themes of patriotism, faith, hope, love, sacrifice and romance, we're going to dissect the award-winning Broadway musical (and then film) "1776" starring William Daniels, Blythe Danner, Ken Howard, Howard DaSilva and Virginia Vestoff among many others. What breaks this musical down into what we love as viewers and/or readers? Any patriot will appreciate the deep emotions of both sides of the political debate that raged during the Second Continental Congress. Ripping a colony away from the mother country, especially a mother country that is big on money and power and manpower and weaponry seems absolutely foolhardy in the present... but in retrospect we see that it was the right thing to do. But those emotions pull the viewer in. Not just the debate of liberty... but the frustration of argument, proving points, gathering votes. And the major frustration of being away from one's wife for months at a time while illness raged throughout New England and the South and medicine only had a rare solution. How tough that must have been! The beautiful sacrificial romance between John and Abigail Adams is a heart-tugger, but they also make it funny... which draws the viewer in. Romance should have an element of fun, teasing, laughter. What if they'd done the whole thing dripping with sadness? OY. John smirks... because of course it must be him they're missing! "Don't smirk at me, you egotist, pay heed to what I say!" she sings back to him. Smiling. Laughing. Grinning... as if they were together, but they're not, they're bound by letters that take far too long to get from fetid, foggy, fuming, foggy, filthy... Philadelphia! And John Adams sent for Martha figuring that once Tom's problem was solved... the country's need for a Declaration of Independence would be solved, too. 90 degrees.... No air. Open the windows and you get flies... so many flies! Keep the windows closed and the heat builds and builds. 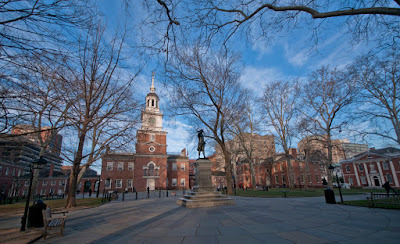 If you've never visited Independence Park in Philadelphia, it is so worth the trip. The viewing, the setting, seeing your ancestors or our forefathers as it would have been nearly 250 years ago! War: loss of life, loss of property, loss of standing. A lot to lose for people whho were loyal to the crown if the revolutionaries win. I love this musical score. I love the whole thing (with the exception of Cool, Cool, Considerate Men that they left out of the movie... it was slow and kind of meaningless... ) but when the young messenger soldier sings "Mama! Look Sharp!" about a mother searching for her dying son's body after a battle... oh be still my heart. "Sit Down, John!" A wonderful musical tribute to John Adams' legacy of being slightly difficult to get along with as a general rule, but a man of commitment! Oh, wouldn't we love that today? How he misses her once Martha has joined Tom in the city... When he begs her to come to Philadelphia, but it's impossible. Children with measles and a failing farm. And Abby handles it all... alone. The viewer/reader feels the true emotion of their loneliness... the depth of their sacrifice for a cause so much greater than sexual satisfaction... but being married and in love and normal... they miss what a normal life and marriage would bring, but they hold tight, supporting one another from afar to attain a cause far greater than married love... Freedom. The declaration... written finally.... is adopted by all thirteen colonies with New York originally abstaining, then approving. Freedom.... adopted. And then fought for and won as blood spilled. 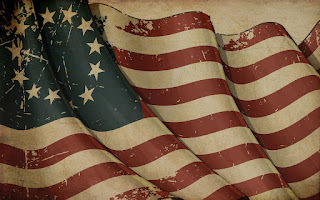 We hold these truths to be self-evident: that all men are created equal... that they are endowed by their Creator with certain inalienable rights. That among these are Life... Liberty and the Pursuit of Happiness. And so we go on this 5th of July, 2018. 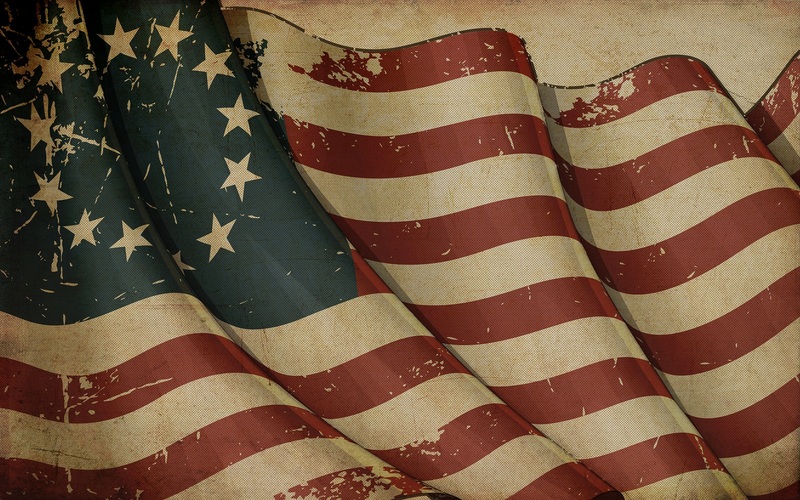 What is your favorite part of history, American or general history? What draws you in? What makes it meaningful? I've got bread pudding here (a big New England favorite) and a Low Country boil going on as a nod to our Southern colonies that joined in the quest for freedom. Multi-published, bestselling author Ruth Logan Herne is loving life, liberty and her personal pursuit of happiness which includes but is not limited to writing beautiful stories with unforgettable characters... just like the kind of books she likes to read! Follow her on facebook or stop by her website ruthloganherne.com She'd love to meet you! I believe we are once again at a time that tries men's souls (and women's souls, too). My favorite time in history is the Athenian democracy period. 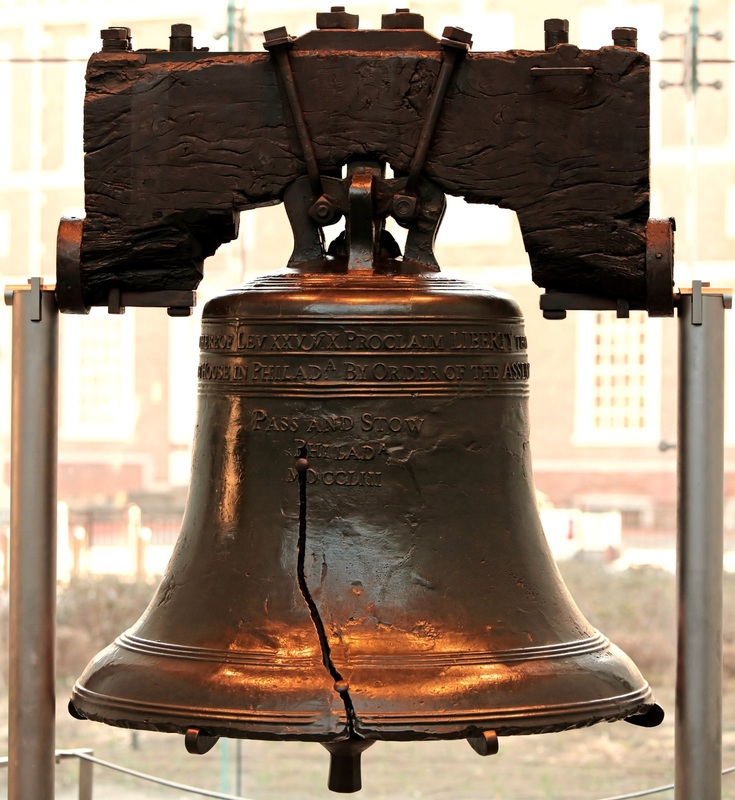 This was when the very ideas of freedom and democracy began and were nurtured, and, for a time, were put into practice. However, even back then it was said by the wise men that democracy would never work because once the common/poor people discovered that they held the keys to the treasury, they would loot it. Historically this looting usually has taken place.Today it is called 'free stuff'. When there are sufficient poor people who have the vote and the right leader appears to exploit them, they do vote to loot the treasury. Of course, in the past, in the age of real money, like gold and silver, they only looted what was there to loot. These days, with paper money and long term debt, they also loot future money from future generations. Athens shortly lost its democracy. Rome came along knowing the mistakes Athens made. Rome did not want a direct democracy. "You can't trust the people not to loot the treasury." The Romans set up a separation of powers system with a Senate, Tribunes, and two 'presidents' who only served a year and then had to leave Rome for the provinces. This worked for a long time but once again the Republic was lost to dictators. Caesar was killed by patriots who knew that he would take away the Republic, no matter how imperfect it was, to create a dictatorship. Caesar had the backing of the masses. Our founding fathers knew about the dangers of democracy. They didn't want any part of it as it was in Athens. They chose the Roman way...a Republic with a senate, a house, a separate judiciary and a president who severed only four years. Even with all these safeguards Ben Franklin was quoted as saying to a lady who asked if what they created was a republic or a democracy, "a republic if you can keep it." Ronald Reagan added this: "Freedom is never more than one generation away from extinction. We didn't pass it to our children in the bloodstream. It must be fought for, protected, and handed on for them to do the same." I fear we are near that point of extinction now. I've seen polls that show today's college students would repeal the first and second amendments. The first because'hate speech' should not be protected or allowed. Indeed on campus 'hate speech' must be shouted down and conservative speakers banded. Also since some religions preach anti-progressive doctrines, like being against gay marriage, they must not be allowed to exist. And, of course, those who would take your freedoms are the very ones who would first take your guns. With a mass media, the university system, entertainment, now even football, with essentially only one point of view, freedom is at risk more than at any time in our history. These freedoms are being lost right now in Venezuela and Turkey as we watch. We see this happening as it is also happening to us. Loss is just one generation away. Oh that the 'greatest generation' does not live to see it happen. 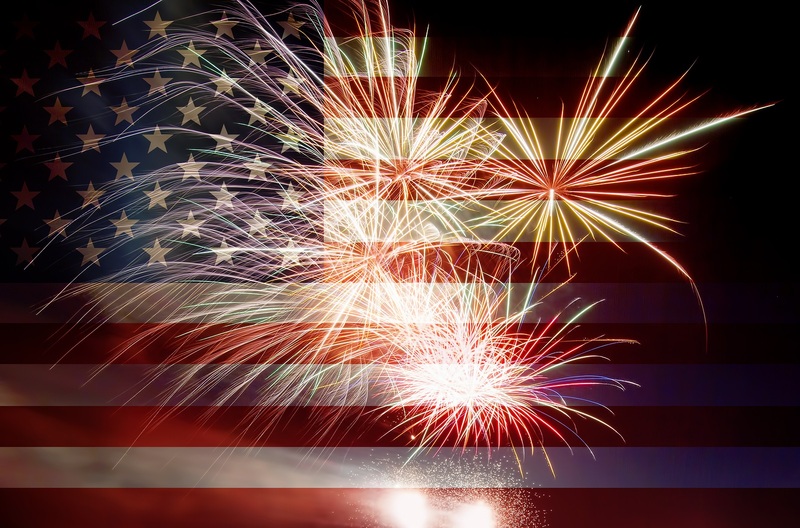 The message of the 4th of July is that freedom is fragile and it needs the protection of the Bill of Rights. Freedom can be lost. It is up to us to make sure our children learn this even in a hostile environment of political correctness which calls the Bible hate speech. We look to the military to keep us free but it is our job to see that the military stays free. We must always protect the Bill of Rights. And it always helps to trust in God. You, sir, are an orator. Well, heaven help save us from too much enlightenment. Freedom doesn't come free. The only thing given freely in this world is grace, flowing free and love. And it's up to us to grab hold of both. What a thought-provoking and thoughtful comment, Vince Mooney. God bless you. And thank you for serving our nation. Ruthy, what a wonderful post!! I don't think I've seen this movie/play! I've seen something similar (I think it was the series called John Adams from HBO). But it wasn't a musical. I must look for 1776 to watch asap! I'm grateful today for those who sacrificed so much for us to be in our wonderful country today. We've got Youtube TV now that we cut the cable cord and it's on there, Missy. 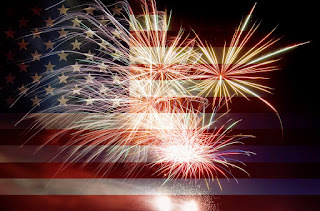 Lots of places feature it for free around July 4th. It's amazingly well done. I bet you'd love it. Amy, this is so true. And when you watch this movie, they made the whole thing so personable and enjoyable while making the anguish real... and the poignancy heartfelt... and the quarrels sounding so much like political quarrels of today... that the watcher/viewer/reader is immersed in the story. It is truly worth watching from beginning to the end, to see how the men disagreed about slavery, how holding out for emancipation almost cost us the country... and that there were true hearts for the plight of Africans and African Americans from long before Lincoln took office. I bet you love it! Ruthy, this was a great post. I love that movie. It has great music. I haven't watched it for a long time. I should do that again. Freedom is far too precious for us to take it lightly so when I watch this, it's my reminder. And sometimes I just plain need that reminder, dear Sandy! There's so much to talk about in this post, Ruthy! First of all, I've always loved 1776. I only watch it once every few years, but we quote lines from it all the time. Especially Benjamin Franklin's insistence that the national bird should be the turkey! And Freedom... it is a precious thing that is slipping out of our grasp. And it is definitely worth fighting for. 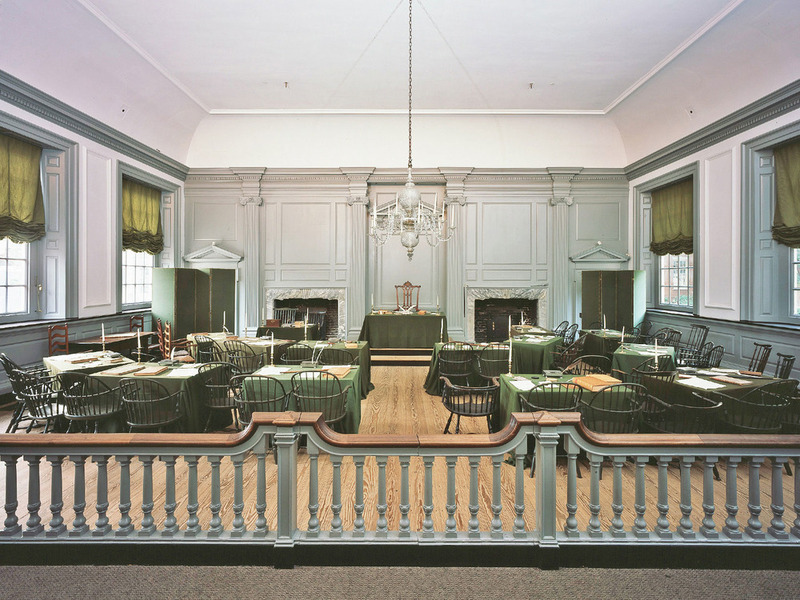 We owe so much to the 2nd Continental Congress and to the men and women of that time, and also to the ones on the front lines of battles (not only in the military, but also in the philosophical and political war zones) that have continued that fight. Tech problems! I'd answered Jan twice yesterday... and it disappeared. Then went to answer again and Blogger gave me the "broken" error... and wouldn't let me in. Same thing this morning, but I opened Chrome and I'm here! Yes, freedom is precious. And we're foolish if we assume it's free because there are always those who would wish for more power at the cost of our freedoms. If we examine the last 40 years, it's fairly evident... and probably should be taught in schools. I'm pretty sure that won't happen given today's school climate. Our strength lies in faith, hope and love... "If my people which are called by my name will humble themselves and pray, I will forgive their sins... and heal their land." Deb, involved Grandma's are wonderful! I hope Guppy enjoyed the swim! I love Grandmas! :) and he's probably the best thing in the world for her right now. Perfect. And yes, you would love this, Deb. It's just so absolutely delightful! Thanks for posting this inspirational blog, Ruthy! Hope you had a delightful holiday! 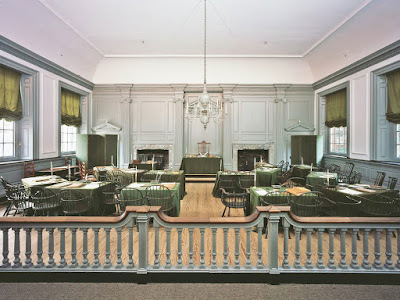 I received an email that told the struggle faced by many of the signers of the Declaration of Independence. They lost children to war, had their homes destroyed, wealth gone, their own lives shattered or ended in battle. It was the part of the story we rarely hear. It inspired me as our forefathers always do. God bless them and God bless our great country! May freedom ring! Debby, you're absolutely right. The losses those men and their families faced... and the derision of some... and the difficulties of the time with little in the way of real and effective medicine, how rough that all must have been! We are in such an enlightened age in so many ways, but less smart in others because we just expect things to be status quo... and of course, that's not how life works. Those reminders are so good for us, aren't they? Love this post! And I love all history. But the era that draws my attention most often is World War II and the Holocaust. Talk about emotions and difficulties! I can't get over how inhumane some men can be, and at the opposite end of the spectrum, I'm amazed by the indomitability of the human spirit. Linda, I've been to two Holocaust museums as well as to a memorial and have been moved to tears every time. Missy and Linda I agree... Mans inhumanity to man amazes me. Where is the conscience involved? I see slavery that same way... what form of self-absorbedness allowed men who showed up in church on Sunday to deal in slave trade. These were often men of some prominence.... stealing people for money. Which shows us that money and power corrupt us so easily. Are our souls that thin? Grateful for everyone who came before because they went through a Lot for what we have today. I feel the same, Kim! Kim, aren't they amazing? And that's so true! Ruthy is having trouble commenting this afternoon and evening. Her comments keep getting eaten! Ruthy, Hi! I love history. When we go on vacation, we make sure we expose our kids to some aspect of American history. Last month, we went to the Ulysses S. Grant house and walked on the same steps as Grant. We also saw the Apollo 11 capsule and discussed the moon voyage. I love American history. One more quick story. Before my twins were born, we took our two oldest to Yorktown and saw the site of the last battle of the Revolutionary War. My daughter said she didn't want to walk on the grounds because the guide emphasized there were ticks in the field. My daughter is now a history major and hopes to either work as an archivist or a research professor. Love the analysis of a movie! I've never been to Yorktown! I will have to schedule that on a trip, I love visiting historical spots that helped form our nation's borders and conscience. And she's a history major! Go her!!! I think that's marvelous, Tanya! When we went to Appomattox this summer, it was a privilege to stand in the room where Grant met Lee and accepted the surrender... and where they printed out the release forms for tens of thousands of soldiers so they wouldn't be harrassed as they went home for good. A nation rebuilt, even as we still struggle in some regards. Ruthy! You picked one of my favorite musicals! Thank you, thank you for reminding me how much I love it (even now I'm humming "Sit down, John!"). At one time, I was an American History major (pre-Revolution to pre-Civil War). A professor stressed with us not to memorize dates -- we could look those up. Focus on the people, on their relationships, backgrounds, etc., and how and why they made the history. Thanks for a delightfully uplifting post! I love that professor! What a sage. It's the real people's story that makes it come alive for us... and I think for many! History is beautiful! Thank you for sharing! Very timely and beautiful post, Ruthy! And bread pudding--I love it! I also love history, American and otherwise. I've read a lot of historical fiction lately and it's so fascinating.